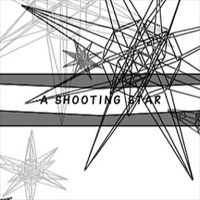 Not to be confused with any of the songs titled Shooting Star. A SHOOTING STAR's pop'n music banner. A SHOOTING STAR is a remix of the original A Shooting Star, a track from GRADIUS II that plays on some of the pre-stage space sequences. A portion of A Shooting Star appears in the re-arranged medley GRADIUS Ⅱ ～ ビーストメドレー ～, from BeatStream アニムトライヴ. A SHOOTING STAR's GuitarFreaks & DrumMania old banner. A SHOOTING STAR was added to GUITARFREAKS 10thMIX & drummania 9thMIX on February 4th, 2004 via ee'MALL 2nd avenue. A SHOOTING STAR is one of the few ee'MALL songs that were only available for GuitarFreaks & DrumMania at first. It was later made available in pop'n music 14 FEVER! as part of Episode 5 of the Fever senshi pop'n 14 (フィーバー戦士 ポップン14) event, being one of the few ee'MALL 2nd avenue songs that made its pop'n music debut in pop'n music 14 FEVER!. It could be unlocked from August 2nd to 9th, 2006. From August 23rd, 2006, it is available by default. A SHOOTING STAR is Motoaki Furukawa's only song in pop'n music. A SHOOTING STAR received a unique video and a new banner in GuitarFreaks V3 & DrumMania V3 CS. Both the video and banner were carried to the arcade releases in GuitarFreaks V5 & DrumMania V5. Also, A SHOOTING STAR was made available for session play in the same game. A SHOOTING STAR was moved from the pop'n music 14 FEVER! folder to the ee'MALL folder in pop'n music 16 PARTY♪. A SHOOTING STAR is available for play in GuitarFreaksXG3 & DrumManiaXG3 as an unlockable song in Pleasure Box 9 (9/12/2012).